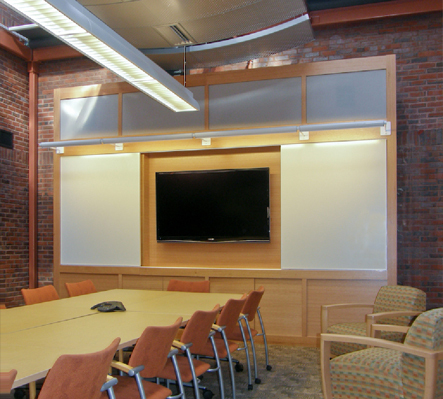 The Harvard University Employees Credit Union’s (HUECU) Administrative Office is a 6,826 square foot renovation of the fourth floor at 104 Mount Auburn Street in Cambridge, MA. Construction was completed in October 2008. The building is a 34,526 square foot, five-story office building with retail establishments on the first floor. The project is located in the heart of Harvard Square, within close proximity to the Harvard campus, many public transportation options, services, restaurants, and stores.